Via the always informative Daring Fireball comes a link to this post by Mike Ash explaining the performance implications of Apple’s new 64-bit A7 CPU in its iPhone 5S (and, I sincerely hope, in its next generation iPads, since my battered iPad 2 is due to be replaced soon). One major key is the set of changes to the Objective-C compiler and environment for iOS that allow it to take fully advantage of the upgraded architecture. Go read it. 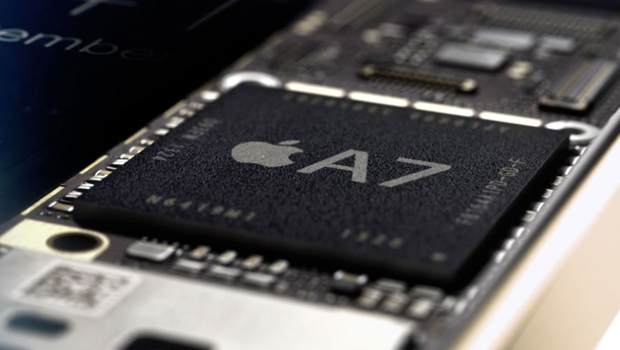 In an interview with the IDG News Service last week, Qualcomm chief marketing officer Anand Chandrasekher said that Apple’s A7 will give iPhone 5s users “zero benefit” beyond more memory addressability. He also said Qualcomm was developing a 64-bit chip, but sees it more beneficial from engineering, chip design and operating system standpoints. Heh. Again, hat tip to John Gruber at Daring Fireball.